Jerome Guillen is Tesla's program director for the Model S EV luxury sedan. FRANKFURT -- One of Daimler AG's rising stars, Jerome Guillen, has moved to U.S. electric sports car manufacturer Tesla Motors Inc.
Guillen joined the company earlier last month as program director on the automaker's Model S program, a spokeswoman for Tesla said in an e-mail reply to questions. The Model S premium electric sedan is due for release in 2012. The spokeswoman added that Daimler had been ''very supportive'' of the move. Daimler has a 5 percent stake in Tesla, which is supplying its lithium-ion battery packs and charging electronics to electric versions of Daimler subsidiary Smart's ForTwo minicar. 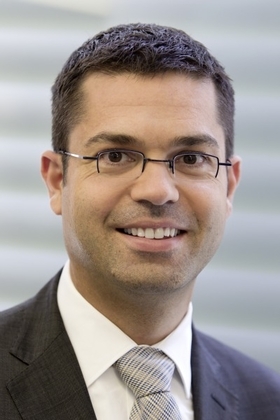 Guillen was considered a strong candidate to be promoted to the Daimler executive board in the future, unamed sources told Germany's Manager Magazin. The 38-year-old French national was director of Daimler's so-called business innovations project, where he was in charge of developing new business opportunities. Guillen was brought over to the unit in 2007 by Daimler CEO Dieter Zetsche after heading up the company's U.S. truck subsidiary, Freightliner. Barely a year after its separation from Chrysler, Daimler was once again setting its sights on expansion. Guillen was tasked with assembling a team of 15 department heads and began operations checking new business opportunities for the company. One of Guillen's successes is the car-sharing concept Car2Go, which the automaker plans to roll out on a global basis.